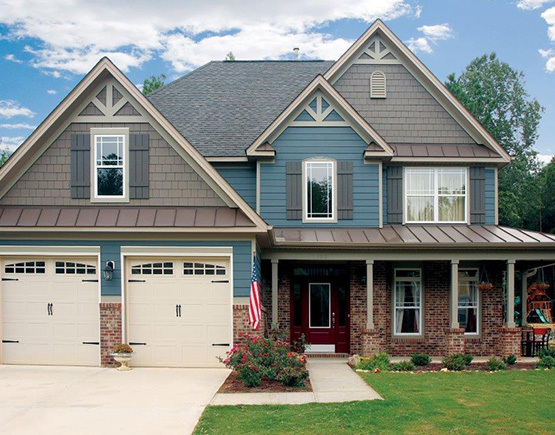 Diamond Kote® is a specialized pre-finish built on LP® SmartSide® for exterior siding, backed by a 30-Year No Fade Warranty. Choose from 30 colors or create a custom color; the possibilities are endless. 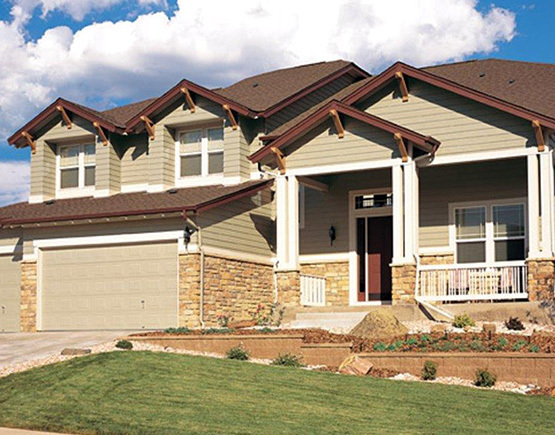 Wausau Siding Systems™ products are exclusively built on: LP®SmartSide®, an engineered wood siding treated with a SmartGaurd process to withstand extreme temperatures​, high humidity, freeze/thaws, fungal decay and termites. Being built on LP helps keep your home looking great for years to come and includes a 5/50-Year Limited Warranty on the board. We design with the installer in mind by adding innovative features to re-manufactured LP® SmartSide®. This includes a hidden fastner system and a spline backing to our RigidStack™​ siding, for a quicker and more efficient installation. The end result is a flawless finished product from top to bottom. James Hardie® moisture resistant, non-combustible cement fiber board with its 50 year substrate transferrable warranty, all available primed or in their low maintenance ColorPlus® technology baked on enamel paint, including having in stock several James Hardie Cedarmill® colors and their complete line of siding accessories. 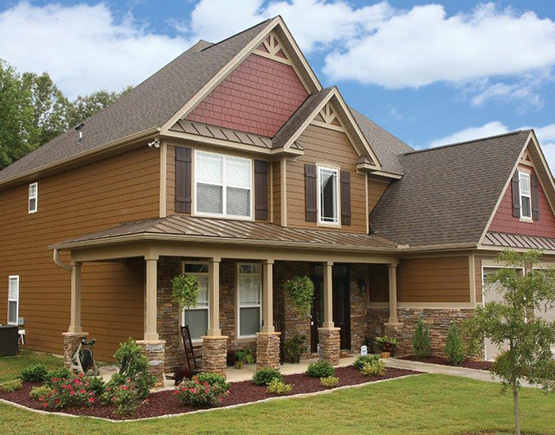 LP® SmartSide® siding is an innovative engineered wood siding product and one of the fastest-growing brands in the U.S. Like all LP products, LP SmartSide siding is engineered to perform. It has a time-tested reputation for resisting impact damage better than fiber cement and vinyl siding. 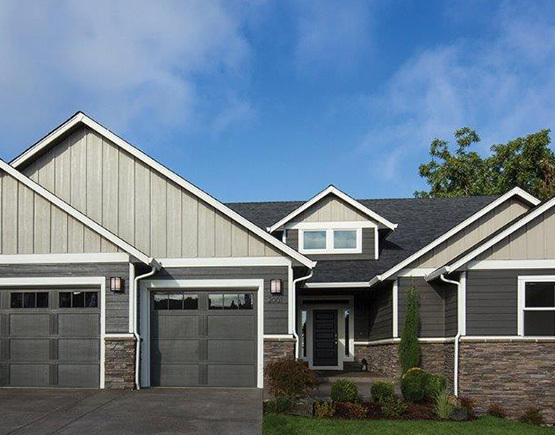 Whether you want durability, beauty, workability or all of the above, you’ll find LP SmartSide Trim and Siding is built to impress. Rollex - Protect your home from weather extremes without compromising beauty. Rollex steel siding is the most durable siding product on the market; offering an oven-fused PVC finish that protects against dents and scratches, tighter seams and a more rigid make-up that stays true to form without buckling or warping, and our non-fade colors for lasting beauty. Rollex produces top quality building products with a maintenance free finish. 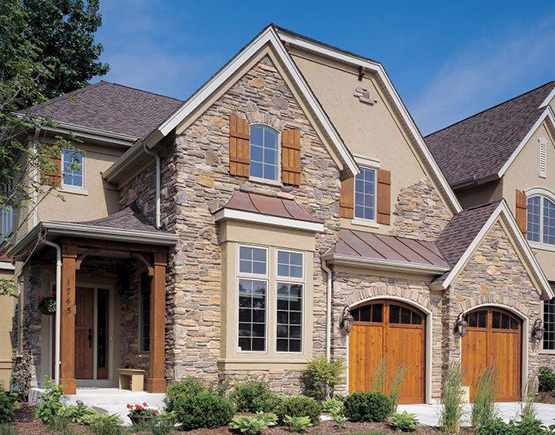 Stop maintaining your home and start enjoying it with Rollex's aluminum soffit, fascia, rainware and siding. 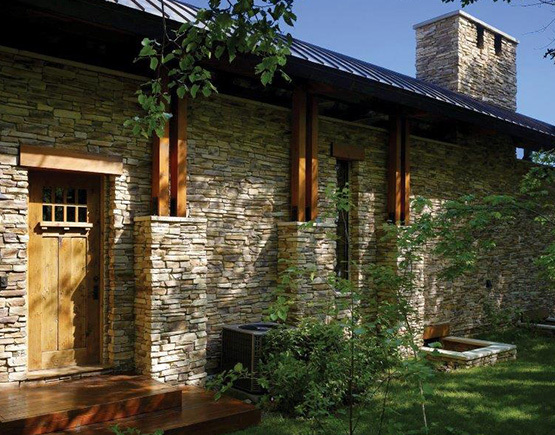 Eldorado Stone the Most Believable Architectural Stone Veneer in the World.™ For over 40 years, has demonstrated an undeniable passion for creating authentic products that not only elevate quality and design, but also attainability. Believability is at the very core of their company’s philosophy. When you set your eyes on Eldorado Stone, it looks authentic, natural and most of all, beautiful. 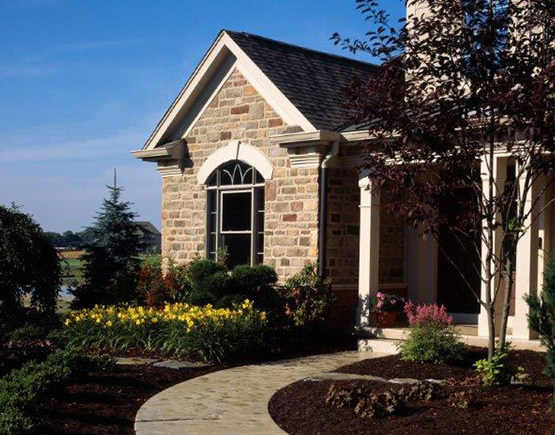 At Mead & Knecht, we have a wide assortment of in-stock Eldorado Stone profiles, and the complete line at our fingertips. Stone Craft Industries - Stone has a unique intricacy that is simply captivating. With such diversity in shape, color and texture it's easy to see why it dramatically enhances any exterior or interior space. 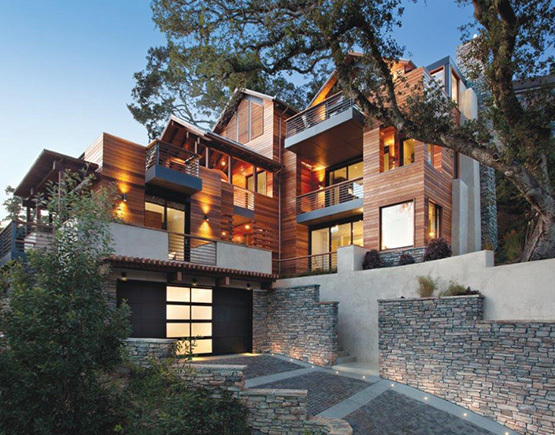 Cedar, Redwood, Fir, Pine, and log siding in a variety of patterns, profiles shapes, and sizes. Both Cedar and Redwood have qualities not found in other woods—even woods treated with chemicals. Cedar and Redwood are durable and resistant to shrinking, warping, and checking. Wood—nature’s most sustainable resource.